READ Arm Action in Sprinting - Is this Product Crap? I am holding a contest where one lucky winner will receive a complimentary copy of Complete Speed Training for Sprinters. (contest rules below) Normally the price is $247 and this week only it is on sale for $177. What the heck is Complete Speed Training for Sprinters? 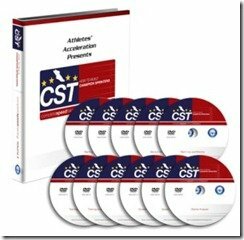 Athlete Acceleration’s Complete Speed Training for Sprinters is a complete resource for track & field athletes, coaches and parents. It’s NOT an ebook NOR digital download NOR online videos. It’s 9 hours of video totaling 11 DVDs and manual delivered directly to your door. You could, however, scour through this Blog and check out the 1000 articles already posted as all the topics were covered in my own words over the past 3 years. That would take a lot of time to collect. In the Comment box below or the Facebook comment box, simply write down Why You Love Track & Field or What you’ve gained from SpeedEndurance.com. That’s it. The contest will end Monday May 31 @midnight PDT and one lucky winner will be chosen at random using Randomizer. If by small chance you purchased the product already (remember the sale price ends on May 28th) then I can arrange a similar Speed Training gift of equal value such as their award winning classic Complete Speed Training for all sports. Good Luck to everyone. Onwards and upwards to Year 4. There will be a lot of good surprises this year, trust me on that! If you’ve followed the Blog carefully, there are numerous hints and clues scattered everywhere. I love track and field for 3 reasons. Anyone regardless of your ability can excel at track and field. Second, it is one of the few sports you can enjoy well in to your more mature years as a competitor and fan. Third reason is most other sports take their form (motions)from proper technique which track and field has always taught people to perfect. Most other sports owe their fundamentals to track and field. I love track and field because there is an event that everyone can find success in. I have witnessed young people blossom when they find the event that “clicks!” As a coach, I have been able to become more knowledgeable about the events I coach and how to help young athletes reach their full potential. Thanks for the information! I love track and field because it is a pure sport…pure athleticism and hard work! Speed endurance keeps me up to date on training topics and helps me refine my coaching skills so that I can offer the best training to my athletes! Track and Field has shown me where my true calling in life is and that to coach other who are less fortune than myself. When I was growing up I didn’t have the use of clinic’s, teaching aids, training camps or Speed Endurance. Coachs who had the time, to answer question or share key informatino that would help you advance forward. To this day at age 53yrs. young, competiting as a Master Athlete. I’m learning more and more each and everyday. Which in turn I’m able to assist younger athlete, as they are developing in the sport, whether it be in the short sprint, to distance events. I’m very thankful for you, Speed Endurance, thank you. I love Track and Field because, as others have said, there’s something for everyone. I love to go to the master’s events, not only to compete, but to see 70, 80, and 90 year old men and women out there competing. To me, track represents sport at its purest…it’s just pure power and speed. While I’m not into the distance events, even that is different that all the marathons people run at 10-12 minutes/mile. Those guys are out there running miles at a pace most people can’t sustain for a single lap. It’s truly awe-inspiring. And then the pros…I think we have a great group of pros now that aren’t flashy like their counterparts in other sports. They aren’t getting into trouble and going to jail. They just seem to have fun doing what they do. As for this site, I’ve learned all kinds of incredible drills that lowered my 400m time from 57.5 to 52.5 in a single year. I love all of the information you share on here. You’ve really helped cement my ideas about proper training for sprinting. I love track & field because of the diversity of the events. There is no other sport like it. I found SpeedEndurance.com a couple of weeks ago and really enjoy all the information it includes. One of the best track sites I’ve found to date. Track and Field has been a passion of mine for many years. I love to “fly” around the track. There is no other feeling like it. I’m always looking for ways to improve my strength and speed. Speed Endurance has been one of my favorite resources. Track and field is a sport that truly is a global community. In many other sports, rivalries are born out of negativity. With track, rivalries arise from respect, and a cumulative effort between athletes to be better. There is a higher sense of camaraderie among all athletes rather than just teammates. It is a sport that has something to offer for everyone, regardless of ability. I love track and field because it lets me spend time with my family.I also get to enjoy teaching them and watching them develop. It also helps the children realize how hard work and dedication helps them achieve their goals. But the best part is watching the kids win medals interact and play between their races at the sometimes extremely long and hot meets. Because right now the thing that matters the most is that they are having fun. The fun times seem to help them forget the pain they will endure training the next week. But their most rewarding time is when they get to travel to a meet, stay in a hotel and eat out every day. I love track and field because it breaks sport down into its purest form. This sport has something for all people of all physical talents. In other sports you usually need a combination of speed, power, agility, finesse, tact, strategy, etc. Here, we allow people of great speed or of just pure power a place to find success with that given gift. Working with track and field is a place filled with “ah-ha” moments. The light bulb comes on for that middle school thrower who finally feels the upper/lower body separation we’ve been talking to her for a whole season. The smile spreads across the young man’s face as his heart bursts when he realizes he’s broken 2:00 in his 800 for the first time. The pure effort and sweat that goes into this sport with no “games” to play and your reward for practice is yet more running in a meet, makes this sport unique and wonderful. I love track because it is a sport that everyone can do. Whether you have all-american potential or will never letter, you can have success at a personal level. Track & Field is in your soul. It is an athletic event that challenges your training in order to perform. Track & Field is not a sport but an athletic competition that produces human emotions that are not displayed in any other event. This web site has served as an expansion to my experince as a coach and has challenged me to think outside the box. This is one of my top choices when searching for information and number one in information pertaining to track & field knowledge. I realize that having a daily web site with pertinent information is difficult, but I do look forward to seeing my inbox with the daily information. Why I Love Track & Field: It is the one sport where it is all up to the individual athlete. If you’re faster, then you’re just faster. No argument. The coach doesn’t decide if you play or not like in all team sports. It’s completely quantifiable. It also strongly enforces the value of work-ethic and teamwork. You almost always get out of it what you put in. With all the various events there is a niche for everyone to excel at. Lastly its the support and joy commonly felt of seeing fast and even slower athletes push themselves to across physical boundaries to new Personal Bests. It’s just the perfect sport! speedendurance.com has helped me develop my own talents as a sprinter and also as a coach to my friends that accompany to the track. Without guidance from here I would be lost in the endless amounts of botched and half-arsed sprinter workouts posted throughout the internet. Plain and simple, speedendurance.com has helped me help myself. Never give up and happy three year birthday! What I have gained from SpeedEndurance.com is that I can focus on another aspect of my training every day, and learn something new every time. Keep up the good work, guys! As a high school coach, I love track and field because it’s black and white. I always tell my kids “Either you are better than me today, or I am better than you, and we both have to deal with it.” Not much else is like that in life. At any point your achievements can be quantified very simply, and whether you like it or not, you deal with it. There are always excuses about yesterday, and always hopes for tomorrow (or why the heck would we coach), but the numbers speak for themselves. As a competitor I loved T&F because it was do or die, me alone responsible, no teammates to blame, no teammates to carry me. BUT I also loved the relays and XC for allowing team play to be a factor at the same time. As a coach, I love track and field because of the kids. We get very few of the “hotdog” play to the camera types. The kids that do T&F are kids who want to be there, want to work to get better, and will do just about anything they are asked to do. I think about doing other things with my time, but I could never walk out on the kdis we get. Speedendurance.com is one of the best, if not the best track and field website around. I do a lot of training and coaching research on the internet, and nowhere else did I find more information for free. This site has often helped me find new ideas and information, as well as links to other sites. I thank the speedendurance team for their commitment and hard work to help people like myself to become more knowledgeable. As a coach, I’m able to stay educated about the events I coach and how to help my athletes reach their goals. Speed endurance keeps me up to date on training and helps me improve my coaching so I can offer the best training to my athletes. Speed is my favorite thing in sports; I coach wide receivers, defensive backs, and the return game at the high school level and sprints and relays indoors and outdoors. As a high school coach, I love track and field for two reasons. One, it’s the perfect sporting platform for high school kids; every kid can quantify his improvement and success with a watch or tape measure. Secondly, it’s the sport most immediately helps young athletes develop speed and strength…keys to success in other sports. Not everyone can be fast, but everyone can get faster; this maxim is my coaching trademark, and Speed endurance has helped me put my money where my mouth is. I love track and field because it’s all about one person living up to their potential! From chasing around a little dog in the back yard as a kid as he barked and yipped, just inches from my grasp but never yielding, or running with reckless abandon playing tag with friends until the sun went down only to challenge mom when she shouted down the street at dusk, “time for a bath…”, ah – that’s what I love about Track and Field, the challenge. As a competitor then and now as a Master’s athlete lacing up the spikes as you toe the line, or as a coach nervously watching your charges shake it out as they step up to the blocks the feeling is always the same – it’s nothing short of electric. I’ve found SpeedEndurance.com. to be an excellent forum for the purists and technicians of the sport with a wealth of information in near real-time to add to my repertoire. Coaching isn’t what it used to be even five years ago, let alone 20 or 30. Coaching is ever evolving yet the basics remain; hard work, dedication, commitment, consistency. It’s about high performance whatever your level of high performance might be, locally, nationally or internationally. One might pose the question, “do you have 20 years of experience as a coach and athlete, or just one year twenty times over?” I for one opt for the teachable moment, continous improvement if I may, and so to do that I rely on resources like SpeedEndurance.com. to keep it fresh, to keep it real and not only allow me to continue to experience the pleasure of running barefoot on the grass now and then or playing tag with a childlike ‘reckless abandon’ but to be able to coach with up to date information at my fingertips, a keen eye for detail and pass on that same passion. Jimson, keep up the good work with SpeedEndurance.com. This is my second year coaching T&F. We are a small private school and I wear many hats. Being able to go to one source (Speedendurance) to find ways to better train my athletes has be great. We had 15 out of 18 go to State last year, only 4 out of 13 this year (the relays didn’t do as well as I expected). I had one athlete win State this year. Thanks Speedendurance for your help, your insight, your dedication. First of all, i want to thank you for your effort by creating and publishing speedendurance website , i have learned a lot by reading your good articles and knowing how top athletes train and work hard to their limits is a big knowledge to me and thank you for that. Second, track & field is my life and i can’t believe a single day without thinking of it, being a runner and a coach, i can give you exactly the feeling of booth world. The word passion describe it and i’m really falling in love with here!! Track and Field presents a particularly special opportunity for athletes to train and compete both as individuals and as a team. Further, athletes compete against themselves and each other. This is a rare opportunity in sports or business but is a requirement of life. Being primarily a strength coach, my benefit to our athletes is improvement of strength, conditioning and competitive attitude; track skill training adds to the tools I can offer our athletes. The more and the better the tools I can provide the better the performance the athletes can build. I love it because it allows me to contribute to many athletes and because I feel I am becoming a good person when I see the athletes improving, moving from high school to college and becoming part of the story for the next group of athletes moving into their spikes. I am quite sure the circle of life is much like the oval of the track. Why do I like Track and Field? It’s something I can do by myself, I can push myself until I absolutely cannot run anymore. I can run as fast as my body will allow, and when my body says no, I can keep on running. I love the adrenaline that rushes through my body right before a 400. I love the feeling I get just before my teammate hands off the baton in the 4×1 or the 4×4. I love knowing that NOBODY can stop me from being the best I possibly can. Track is something I can do by myself. I know that I HAVE to keep getting faster in order to beat the best that keeps coming in. I love to be in control, and with track I can be.I’ve been running since I was 8 years old. Track got me through college and I love it even more each and everyday. honestly though, it’s something you’d have to experience on your own. Thank you Speed endurance for your help track and field has been a great tool for these kids to reach there goals and motivation. Track and field opened my world to other places, people and the desire to be a better person. Having met, run against champions has afforded me the privilage to ask for advise or to direct my students in track and field to seek answers that I might not know. It has brought to me a wonderful friendship with many people from all over the world, and former high school thru masters track people that I have encounted. I am able to give someting back after knowing what we have gone thru, from no coverage in papers or media Tv, to the fourms that Speed Endurance gives to us as a teaching tool. Healthy enviroment that will let you know, you can and will be a champion just for trying. Track and field is the worlds oldest and greatest sport. It tests and promotes every man and women to better themselves several times a year. I love track and field because it emulates life; sometimes we PR on the track & sometimes we help our company to record profits – sometimes we drop the baton & sometimes we are late for work – and sometimes we train for success and win & sometimes we interview for a job and get it! Track and Field is Life and that is why I love it. Speed endurance and speed improvement is a passion of mine-passing on lessons learned to kids is my reward. I have two teenage sons, who apply these lesson,they are kept busy outside in the fresh air. In sport out of court is one of my favorite messages. Why i love Track and Field……..
”all sportz need speed” Track and Field….. The ultimate sport of all sports. Every movement sport requires speed. Speed kills, expecially if you do not have it, or your team does not have it!! The sport that is the ”mother” of all movement sportz. and shattering the world record, again, in the 100m dash. What sport globally, measures the fastest human on the planet? Track and Field…… Gotta love it, you watch other sports just to see it!!! I have been Coaching Track & Field for over 6 years. All the Athletes I coach are under 15 years of age. I coach Stadium events during the Summer and Cross Country and Socccer during the Winter. All my time is given freely to the athletes of all ages. As a volunteer coach, all resources I use I have to save throughout the year to buy. The Complete Speed Training for Sprinters Package, has been one of those Resources that I have been saving for. But, because I currently do not have a paid job, my athletes will have to wait a bit longer until the information from the Complete Speed Training for Sprinters Package will be be used for them. I hope to win your Birthday Contest, Because it will really seem like Christmass then for my athletes and me. I am from the island of Saipan in the pacific where track and field here is at it’s infancy. I have had to singlehandedly develop athletics here from every angle(grassroots, elite squads,schools,coaching development etc). I am the only track national coach since nobody on the island knew anything about athletics. I started out as a basketball coach with great success and was approached by a friend who had just joined the newly formed federation and were looking for a national coach. He later told me that the board picked me because they thought i was great in working with youths. Little did i know that athletics was going to become a permanent part of my livelyhood. Less than a year into my coaching, i was fortunate enough to take an athlete to the World championship in Sweden. There, i was in awe of all these World class athletes, the grace, power and dedication i saw in them attracted me to the sport. Till this day, i am forever trying to make sense of how this machine called the “Human Body” works. Trying to coach 16 different disciplines in athletics by myself has presented me with alot of challenges but thanks to the information age (internet), and sites like speedendurance, coaching athletics is alot more gratifying. To those coaches in past when internet was not around, i envy you all. I have the original DVD package and found it very useful and each of my athletes was given a copy of the drills DVD so they could look at the drill, practise it and then refine it at training. Also now my athletes all get on the speedendurance.com page and find many of the story’s and updates and of course articles very informative. It has really helped educate them in track and field, not only in their home environment but worldwide as well which is fantastic. I would reccomend this package to anyone. I have been going to this website everyday since I discovered it. And everyday I discover new things that I already don’t know about my sport. I have read almost every article that you have posted and found each article more useful than the last. Also I absolutely love track and field. I have been in love with this sport from the first time I have been introduced to it. I once drove an hour away during off season just to condition, I also tore my Achilles tendon running for my 4×400 team and even though it still hurts I would never take that moment back for anything. I love track and field because there is something for everyone. Any individual can achieve success and see improvement in their event(s) if they are willing to work hard and be consistent. I love Track and Field because it is the original sport. My dad was an AD and he used to take me to the track meets as a kid. I would walk around all Saturday afternoon and never grow tired of being around all the events. I love Speedendurance.com because I am now coaching Track and I LOVE the articles and expertise that comes in my email everyday. Happy Birthday!!! This is one of the most informative and conscientious websites I have ever read and I’m talking about everything under the sun! Remarkable effort, Jimson. Simply remarkable. P.S. All you cats commenting on this post need to stop by more often to raise the level of play to an even higher plateau. We all learn exponentially. Let’s make Kurzweil’s law, or the law of accelerating returns a reality. Who doesn’t like the idea of speed and acceleration derived from knowledge here?! I love Track and Field because i love to fly in track with my legs, and i chosen this for l want run fast and i love to speed,speed,speed. SPEED is my way, love to run a meters by seconds want become fastest man. i love my track, it calls me every second to cross it you know i love that very much…..
Why do I LOVE Track? It is the ultimate sport pitting individuals against each other and the clock. There is no other sport that does this. I’ve played team sports, and in that arena you have to rely on your teammates to win. In track its just yourself no one else. So if you make a mistake you have no one to blame but yourself and that is the way I like it! I coach at a highschool in Washington State, I have been there for six seasons and I love it, working with athletes is the ultimate. This is my passion and love. 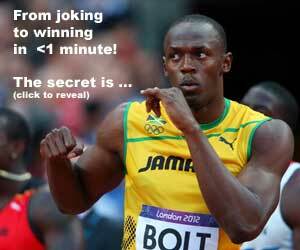 Speedendurance has helped me over the time with your articles and training plans. I use several of your plans in my training program for my athletes and myself, by the way I’m 49yrs old and compete at the Masters level in sprinting, so I’m for real when I say that I LOVE track. I love Track & Field because it is the sport of Kings. As a South African coach i have the praviledge to work with great talent in the new South Africa. We as South Africans are making our way back to the international sport arena, after years of isolation due to our political history, but the world arena of sport is open for us again and the one sport that we will defantly feature in again is South African track and field. We have a group of young coaches that are fired up to develop our talent. Thank God for the internet…. I think I love track and field because it’s one of the world’s sports. You have football (soccer for us Yanks), and then you have Olympic athletics. It always seems to be that you will be hard pressed to find a better athlete and physical specimen than a champion sprinter. SpeedEndurance.com helps me on that never-ending quest to get faster. I love track and field for it is the purest of all athletic sports, no time outs, no pads, no balls are needed. The only necessity for success is giving it 100%. Track and Field athletes are the embodiment of the “Human Racing Automobile!” wherein every tweak leads to further refinement. I love track and field because success is measured by times, distances, and heights as opposed to points, goals, or baskets (pent/hep/decath not included). In track and field, you don’t have to win to be successful. There is nothing more rewarding as a coach than seeing an athlete excited because he/she set a new personal record! That’s success, and everyone has the same opportunity to succeed if they put in the time and effort to be successful! Long live track & field! Why I love track and field: there is a certainty in it that other sports lack; the winner in most running events is clear, the bar falls off or it doesn’t. There is a camaraderie between many competitors that other sports lack or at least does not seem to encourage. Track and field allow individuals and teams to go out and do their best and feel good about achieving personal bests without excessive concern for whether the effort results in winning the race. Everyone who gives their all, does their best each time, and continues to improve wins. Many athletes who knew they could not win would not step on the playing field with a team they could not beat, but many runners–distance runners, particularly–know they may be lapped or beaten by a great distance, but they do not fail to toe the line and give it their best effort. Perhaps that’s why I’ve never heard booing at a track meet, and have often seen the entire stands erupt into applause at the “loser” finishing last as valiantly as they started a race they knew in advance they could not win. I love track and field because its simplicity reminds me of what it is to be human. It is so easy hop in the car and to go a few miles. However, having to run a few miles is a different story. Having to run a fast for 400 meters or 800 meters is something else — teetering between exhaustion and the thrill of running fast. Running track is something that I enjoy because I can feel my body being alive and reaching its limits. SpeedEndurance.com provides the invaluable service of being a one stop shop for articles related to my favorite event, the 400M, as well as other events. The site is a great resource, I use it to send links to my athletes to articles from the greatest coaches in the world, that deliver information that I want in my athlete’s hands and heads. Track and Field is the greatest sport in the history of the world. That simple. As for speedendurance.com, the website provides analytical insight into all aspects of track and field in addition to the occasional event footage. What more could a fan ask for? Thanks Jimson, for conveying your incomparable Track and Field knowledge in a format that explains the physiology and training behind the record-breaking performances. I can tell that you have a passion for the sprints (100-400 meter dashes). How does one run a series of 40 yard dashes “all out”, without tearing or tweaking a vital leg muscle, tendon, ligament, etc..?